This 4.5-metres largetooth sawfish was caught in October 1975 and reconstructed for the photograph. The sawfishes were a nuisance for local fishermen because they became entangled in their nets and damaged them. Ruth Leeney speaks to Nigel Downing about his in-depth research on live sawfishes in West Africa in 1974 and 1975. What were your research objectives in West Africa? Dr Jean Maetz, a French physiologist who ran a radio-isotope laboratory in the south of France, was keen to discover how elasmobranchs survive in fresh water. He proposed that I find suitable animals, catch them, look after them in captivity locally and then arrange the transport of about 20 of them by air to his laboratory. Then I would work with him using radio isotopes to study the flux of water and ions in and out of the fish under experimental conditions. This last part I never achieved. Ambitious and exciting goals! Where did the idea for the project come from? When as an undergraduate I listened to a lecture about osmotic and ionic physiology, I was informed that cartilaginous fish were stenohaline – unable to tolerate large variations in salinity. While there are teleosts (bony fish) that can move from sea water to fresh water and vice versa, salmon being the best-known example, we were told that elasmobranchs were restricted to the sea. However, I knew otherwise. As a young boy in South Africa I was well aware of the Zambezi shark (bull shark), which had been held responsible for a spate of attacks off Durban’s beaches in the 1960s. I even remember an ambulance arriving to pick up a victim from a beach where we used to swim. I also knew that this shark swam up rivers and had frequently been observed in fresh water. Further, having spent several months working at the Oceanographic Research Institute at the Durban Aquarium before going up to university, I knew that sawfishes were also found in rivers as well as the sea. So, three things compelled me to do this project: I really like sharks; field work was my thing; and I was curious to find out how euryhaline elasmobranchs control their salt and water balance (osmoregulate) as they move between salt water and fresh water. Were you aware that sawfishes were present in your study areas when you first started the project in The Gambia and Senegal? My initial plan was to head back to South Africa, use the Durban Aquarium facilities and collect from the rivers and estuaries of Zululand, but that fell through. Dr Maetz said he had heard there were sawfishes in West Africa and so, as a result of hearsay, I ended up working between the Gambia and Senegal, both of which proved to be excellent places to capture bull sharks and sawfishes. By that point I had realised, from my time at the Durban Aquarium, that keeping bull sharks alive and healthy in captivity was going to be far more difficult than looking after sawfishes. The latter can happily spend hours on the bottom using their spiracles to ventilate, whereas bull sharks need to keep swimming. For that reason, sawfishes became my primary study species. 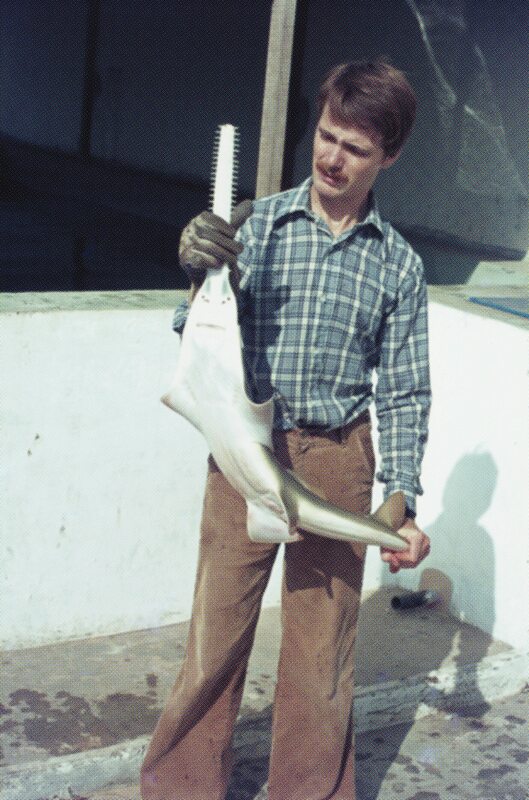 In 1974 and 1975 Dr Downing studied sawfishes in Senegal and the Gambia. He worked in collaboration with local fishermen, who brought him any sawfishes they had caught. Can you paint a picture of your field work and day-to-day activities in The Gambia and Senegal? I was based in Thiaroye, on the outskirts of Dakar (the capital of Senegal), at a French laboratory. However, I set out for the field very early on to establish where best to find the fish I needed. I discounted the Senegal River from the outset and investigated instead most of the Gambia River, by road in Senegal and by road and boat in the Gambia. Finally, I established two field bases in the Casamance, in southern Senegal, because sawfishes appeared to be more numerous in the Casamance River. It was also easier to work there than anywhere else. Initially, my main priority was to find out where, when and how to catch small sawfishes. Individuals can grow to several metres in length and, for obvious reasons, I preferred them to be the size of neonates. Once I had located them, the next phase was to keep them in captivity locally. Thiaroye and the Casamance are miles apart and there were no holding facilities at either place. So in Thiaroye I had to build tanks and equip them with water circulation and filtration systems, while along the Casamance River I constructed pens in which to hold recently caught sawfishes. Finally there was the issue of transporting them from the pens to the tanks. All of this took me six months and I had been given only eight months to get the fish to France! I was given an extension to collect again in 1975 and, with all the infrastructure and logistics firmly in place, I conducted an intensive sampling season in the Casamance River. A typical day in the field began well before dawn, when I got up, left the empty classroom where I slept and went to pick up a local fisherman, Timothé, who helped me with all my work in the Casamance. We would go back to the classroom and cook and wolf down huge bowls of porridge, washing them down with cups of tea or hot chocolate. We then made our way to the river by car with all the equipment: fuel, transport tank, net, syringes, portable centrifuge, battery, ice and much more. After dragging the boat into the water, engine attached, we loaded all the equipment and made our way to the river mouth. Then we set the net and waited. We knew when anything was snagged in the net and went to retrieve it immediately. If it was a sawfish, one of us held it firmly in the water while the other patiently disentangled the rostrum from the net. This could sometimes take up to 20 minutes. The animal was sexed and measured and sometimes we took a blood sample too. It was released into the transport tank and the water circulation system switched on. If another sawfish had been caught in the meantime we would retrieve that one too. Then we had to dash to the holding pen to release the sawfish before heading back to continue netting. At the end of the day we retrieved the net and Timothé repaired it if necessary while I took care of the boat and loaded up the equipment for the next day. I wrote my notes up by gaslight, cooked myself a meal and fell into bed, exhausted. The days were long and tiring. By June 1975 I had a holding pen in the river filled with small sawfishes. As I was preparing to transport them north, I was told that lightning had struck my tanks and that the research vessel that was to transport them had broken down. I released all the sawfishes back into the river and headed for home. Although dispirited, I was happy that I now knew how, when and where to catch sawfishes and, most importantly, how to look after them. Nigel places a juvenile sawfish in the holding tank. During the rainy season there was an abundance of sawfish pups in the Casamance and Gambia rivers. You took a remarkable, somewhat poignant photograph of an adult female sawfish that had been landed on a beach in The Gambia. Can you describe the experience of seeing her being brought to shore? I was very excited. Only a few days previously I had helped to collect an equally large female at Niani Maru, several hundred kilometres up the Gambia River and in fresh water. Now here one had been taken in the sea not far from the river’s mouth and she was pregnant with 15 young. It was such a shame that she did not deliver them. I felt overwhelmed to see so many baby sawfishes so near to term, all out of the one huge female. I could only surmise that she too was about to make the journey upstream to give birth. Instead, in no time at all she was reduced to chunks of meat, ready to be dried, then to be bagged up and exported to Ghana. I was saddened by the demise of such a magnificent animal and her young, but I had no idea then of how endangered sawfishes would become. Forty years on, sawfishes are in danger of going extinct throughout much of the world and may even have disappeared from the areas where you saw so many of them. How does that make you feel? I don’t wish to be too morbidly philosophical, but I believe very strongly that we are stewards of the world we live in and we are doing a pretty poor job of looking after it. The loss of sawfishes is global, with the exception of a couple of places – Florida and Western Australia – where they are properly protected. I am sad that they are probably no longer present in significant numbers in West Africa. In other parts of the world, their recovery will depend on credible and guaranteed protection being put in place, which may be too much to ask of some countries. The fishing net has been blamed for the decline in sawfishes in West Africa. Although they may now fetch a good price, largely because of their fins, back in the 1970s the fishermen did not particularly like catching sawfishes. They were not valued as fresh food and they made a huge mess of their nets. What influence did your time working on sawfishes in West Africa have on the rest of your life, your interests or attitudes? Overwhelmingly I feel a sense of privilege. I have to pinch myself sometimes to realise what I lived through and witnessed some 40 years ago. The experience of working largely alone and undertaking the task I did certainly formed me and I would never trade it for anything, tough though it was at times. Nigel’s description of the time he spent studying sawfishes in West Africa provides a solemn and somewhat dramatic contrast to the present day and highlights the almost complete loss of these extraordinary creatures from the coasts and rivers of Senegal, the Gambia and many other West African countries over just a few decades. I hope, however, that his story will inspire others, as it has me, to seek out and protect any remaining sawfish populations in far-flung corners of the world, lest they too meet the same fate. 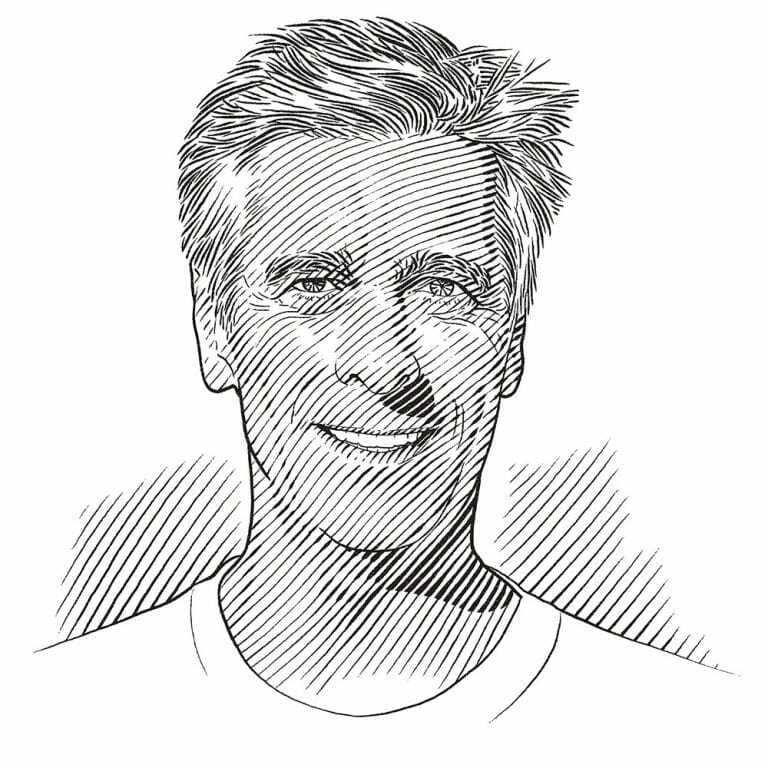 The ambitious research carried out by Nigel Downing more than 40 years ago should have set the stage for a wealth of exciting studies on sawfishes in West African waters. Instead, sawfishes sank back into oblivion, noted perhaps only by local fishers whose nets they got entangled in. By the time I started to search for these once-symbolic and abundant creatures of Africa’s rivers and coasts, they had all but disappeared. I was probably 20 years too late. To date, my work has focused on a very simple goal: documenting where in Africa sawfish populations persist. After all, conservation strategies for sawfishes cannot be developed if we do not know where the species still occur, the specific threats they face in those areas and the governments and communities we need to engage. But these remarkable fishes are now so rare, and perhaps are found only in such remote areas, that searching for them is like looking for a needle in a haystack. The most cost- and time-efficient way to get a feeling for whether sawfishes are still encountered in any given place is by talking to local fishers. They know the waters upon which they depend for their livelihoods better than most and they have years, or even decades, of experience from which they can paint a long-term picture of the ecology and changes in those waters. For several years I focused my efforts in West Africa, but research in Guinea-Bissau, the Gambia and Liberia suggested that most fishers had last seen sawfishes several decades previously – and many younger fishers had never seen a sawfish in their lifetime. I then became aware of occasional but ongoing reports of sawfish rostra turning up in markets in north-western Madagascar. Despite intensive shark fisheries throughout Malagasy waters, it seemed that sawfishes might still be present. It was here too that the most recent scientific report of sawfishes in African waters had occurred: in 2001 Japanese scientists documented the capture of two largetooth sawfishes by Malagasy fishers. And so it was that in 2015, funded by the Save Our Seas Foundation, I spent three months collecting baseline data in the north, north-west and west of Madagascar and met a number of communities that stated that they still encountered sawfishes. I will be returning to Madagascar this year to continue this work and to begin sampling in key habitats in the hope that I will be able to confirm that sawfishes are still present there. I believe that there is still hope for sawfishes in African waters. But my colleagues and I will have to act fast and, given the considerable challenges that communities and governments in African nations face in managing their fisheries, external support from the international conservation and research communities will be essential. A holistic approach to the conservation of sawfishes will not only ensure the protection and sustainable use of these unique species, but will also benefit the river, mangrove and coastal ecosystems they inhabit, as well as the human communities that depend on those ecosystems for their livelihoods. Sawfishes really can be, as they are called by one community in north-western Madagscar, le roi des poissons – the ‘king of the fishes’. 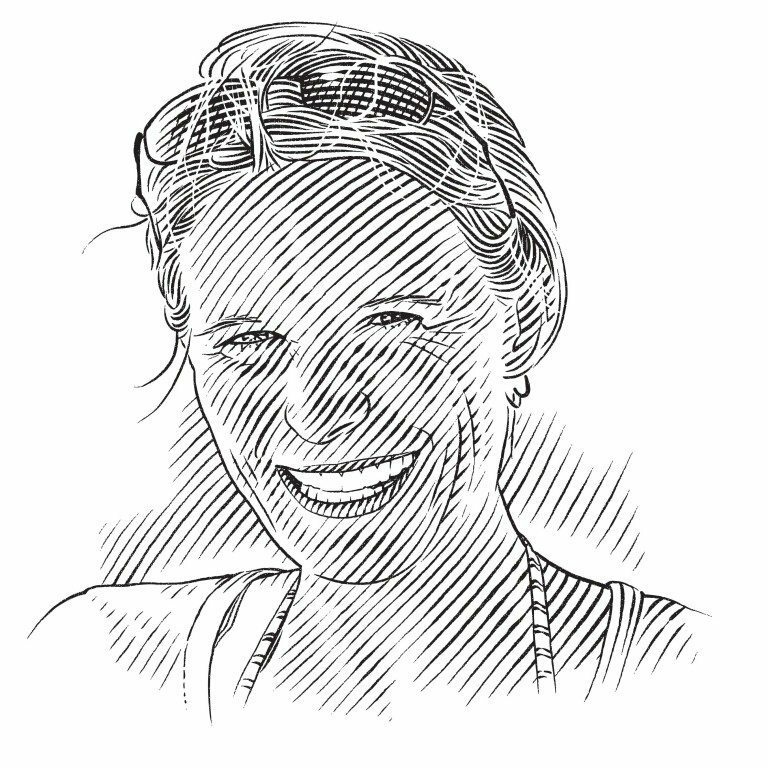 Ruth H. Leeney is the founder and director of Protect Africa’s Sawfishes and the Sawfish Conservation Officer for the IUCN Shark Specialist Group. Updates on her sawfish work can be followed on the Protect Africa’s Sawfishes Facebook page.